The best regimen for health is one you can sustain. What works for one person won’t necessarily work for another, and working out for 31 days straight isn't the silver bullet for wellness you might think it is. It began as an office health initiative — “The 31-Day Wellness Challenge” tasked participants with exercising for 30 minutes daily for a month, with extra points for trying new activities. I had planned to participate quietly on my own, but after an ill-advised glass of wine (or three), I posted about the fitness challenge on Instagram. That did it. Now I was locked in by social-media accountability (the worst kind). The world probably does not need another “I ate nothing but activated charcoal for a month and became a mermaid” story about the latest fitness craze. And I didn’t plan on writing one. But after working out for 31 days straight, I did learn something: It’s terrible. It starts out feeling great, then it’s terrible, then great again, then completely unbearable. Just before day 31, you devolve into a sweaty fevered monster oozing self-congratulatory “inspirational” fitness advice for all the lesser beings who didn’t recently jump rope and row-machine themselves into minorly-muscled gym rats eager to post an muscle emoji on any slightly fitness-related social-media message. When I started, I had already been working out pretty regularly, probably five days a week (or three), so what was two more? Besides, I was pretty sure I’d magically transform body and soul into Beyoncé by the end of the month, because that’s what happens when you do one of these kitschy “31 days of something kind of unpleasant/inconvenient” things, right? As the Instagram likes accumulated, friends claiming inspiration decided to join the challenge, and by day three I was certain I would blast through the month like I was in a montage set to Natalie Imbruglia’s “Torn.” But by day four, the inspired friends had tapped out, and I was lying cold and shamed on the floor of my apartment attempting a halfhearted home workout. That’s when I realized the only way I was going to make it through the next 27 days was if I made things more interesting. 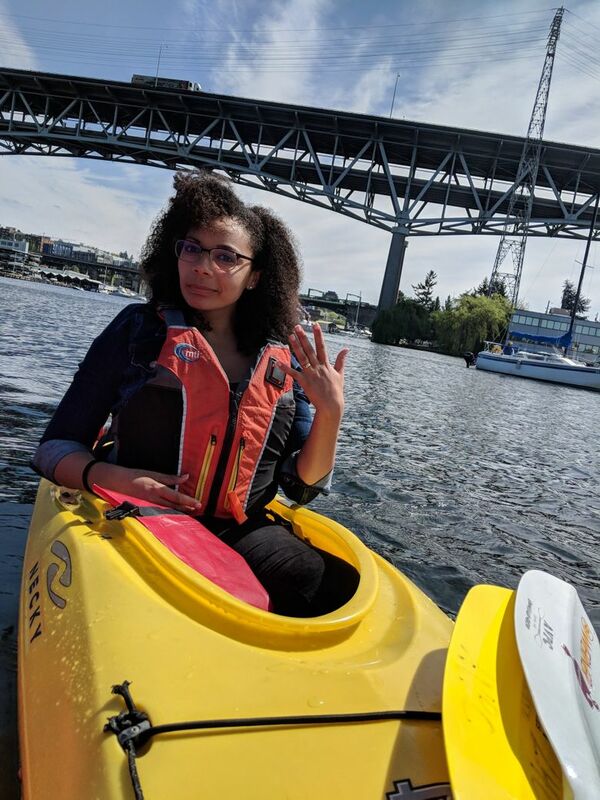 So on day five I went kayaking for the first time. On day six I beat down my anti-social tendencies and signed up for a group boxing class, where I quickly discovered that hitting things was my lifelong calling. By day 18 I was sore, stiff and mentally exhausted. I felt like I was on some kind of special exercise-based, obstacle-riddled journey, but there were few actual obstacles in my 31-day exercise routine. With no kids and few responsibilities outside of work, I could prioritize fitness. 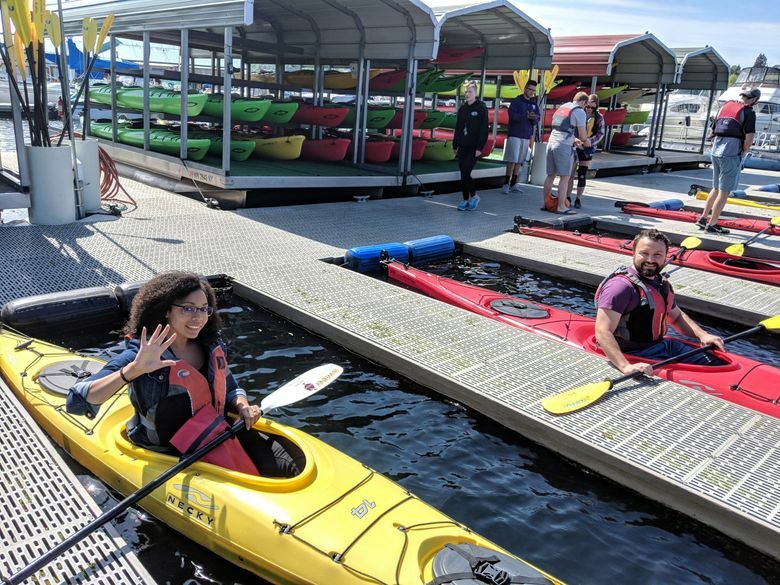 I had the money for a gym membership, group classes, kayak rentals and replacing worn workout gear. I do struggle with asthma, but I have the physical ability to try many different types of workouts. And I still had several days where I just couldn’t find the energy to get myself to the gym. Privilege plays no small part in one’s ability to successfully complete challenges like this one. Of course, that doesn’t mean one shouldn’t try to establish sustainable health and fitness habits. But it’s important to acknowledge that we each face different obstacles to exercise, and there isn’t a one-size-fits-all solution. No juice cleanse or monthlong challenge will magically transform everyone into an Instagram fitness star, and it can be dangerous to think otherwise. Something I did gain from the challenge was insight into what does work for me. I already knew that it was easier for me to wake up early and hit the gym before work than it was to conjure the energy after a full day at the office, but the challenge affirmed this. I already knew that I get bored easily and need to change up my routine often, but taking boxing made me want to budget for the occasional group class. I learned that I need to take some days off not just to recover physically but to give myself a mental reprieve from pushing and judging myself if I’m not meeting certain goals. A friend struggling with mental illness started the challenge with me but did not complete it; she found she needed to prioritize her mental health. For her, fitness could be a part of working on her mental health, but 31 days focused only on physical fitness would have actually been detrimental to her overall well-being. Another friend reported that 10 minutes of dancing alone in her bedroom was the only thing she was up for every day. She had to abandon some assumptions about what constitutes a “proper workout” to find something that she could do viably and joyfully over an entire month. The best regimen for health is one you can sustain. And what works will likely change throughout your life. What works for one person won’t necessarily work for another, and working out for 31 days straight likely won’t transform most of us into forever-changed self-help gurus claiming the secret to a perfect body and permanent happiness (or claiming that those might be the same thing). On day 32, I stayed in my pajamas all day, drinking wine and reading, something I hadn’t had much time for during the challenge. And it was glorious! In the end, the challenge became a quirky, sometimes fun, sometimes exhausting thing I did once, not a permanent solution to any particular fitness issues. 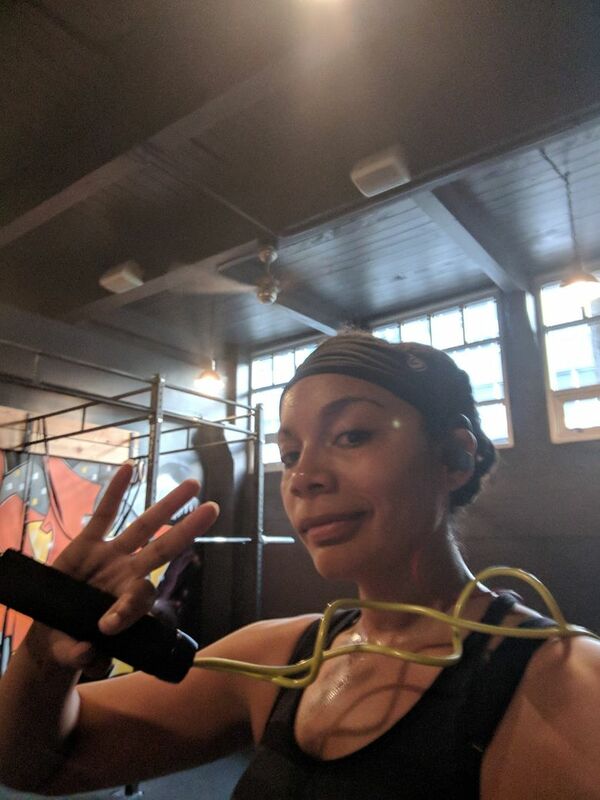 Months later, I still work out as regularly as I did before the challenge, probably five days a week (or three), but I do have some new ways of staying engaged when all I have time for is 30 minutes at the gym. For that, I have “The Mindy Project” to thank more than anything.